After many weeks of practice at school and at home, the stage is set for the youngest child at the Seder to sing Ma Nishtana, melodically musing “Why is tonight different from all other nights?” We encourage every child to contribute to the night’s discourse, to offer thoughts and insights at his or her own levels as to the reasoning behind the evening’s many unusual customs. And we sing tunes with inviting intonations so that everyone can join in and end on a high note with the nursery rhymes of Echad Mi Yodeah and Chad Gadya. While there are so many ‘traditional’ avenues for education and engagement at the Seder, it’s the Haggadah’s description of the Four Sons that stands out to me as a crucial teachable moment. 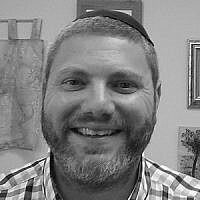 Rabbi Yisrael Meir Lau, Former Chief Rabbi of Israel, explains that the word ‘echad’ (one) is used when introducing each of the Four Sons to show us that every single person around the table is equal to one. Every person, from the ‘wise son’ to the so-called ‘wicked son,’ are counted as peers. Every person, regardless of age, gender, background, education or abilities, are considered equal members of the family and the Jewish nation. It’s this nod to disability inclusion, the notion that the child who does not know how to ask is also counted as one, that makes this segment of the Seder so meaningful to me. 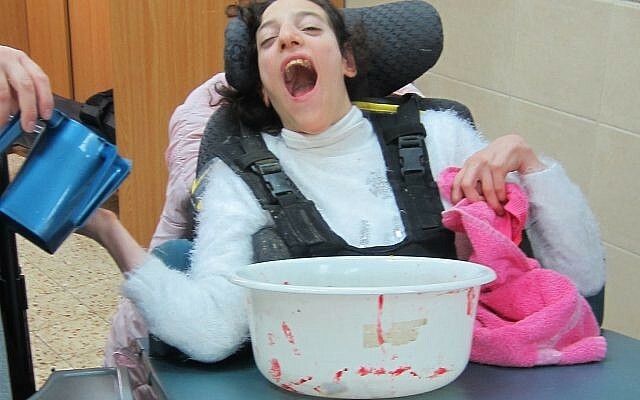 Working at ALEH, Israel’s network of care for children with severe complex disabilities, I have encountered hundreds of beautiful souls who, through no fault of their own, simply do not have the capacity to ask questions at the Seder like other children. It’s heartwarming to know that they, too, have an equal place at the table. With these children, it is especially important to follow King Solomon’s brilliant pedagogical philosophy of “Educate each child according to their own way” (Proverbs 22:6). While this often means speaking to a child in his or her own language or providing age appropriate explanations and activities, for children with disabilities, it means planning ahead to make the Seder more accessible and focusing on the things they can do throughout the evening, rather than the things they can’t. For starters, children with disabilities should be given a seat of distinction at the table, making it clear to all that they are equal participants in the Seder activities. 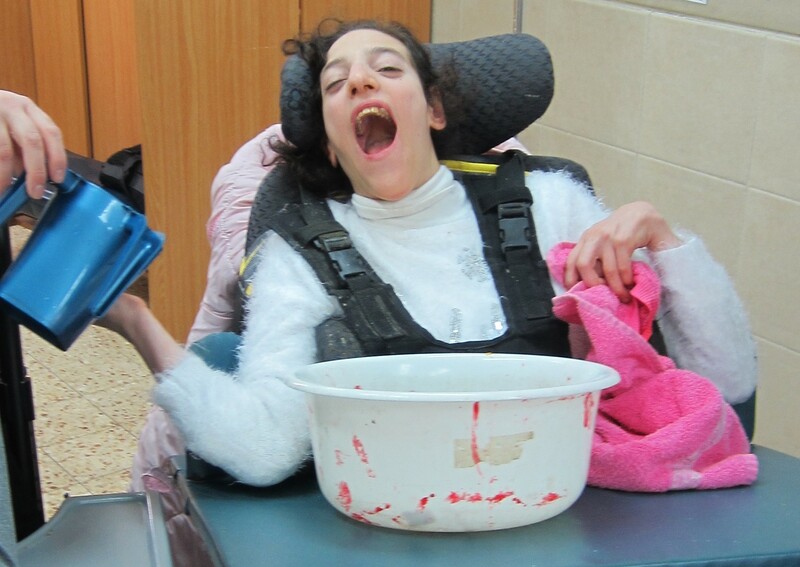 When Urchatz, the first opportunity to wash our hands at the Seder, rolls around, children with disabilities should have their hands washed as well – a wonderful sensory experience that will make an impact on them. These young participants should also be assisted with the dipping of Karpas (the vegetable ‘appetizer’) in saltwater and taking drops of wine out of their goblets when counting the Ten Plagues. 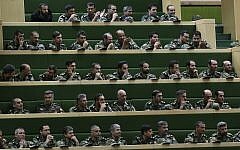 While the Haggadah speaks of Four Sons, many commentators highlight the existence of a ‘Fifth Son’: one who isn’t even at the Seder table. Through the generations, we have interpreted this as a directive to engage with those who feel detached or disillusioned and have decided to steer clear of the Seder. But it is important to realize that it can just as easily refer to those who cannot physically make it to the table themselves, and who may have been overlooked because they cannot participate in exactly the same ways. In this and every generation, it is our obligation to “regard ourselves as if we had come out of Egypt.” It is likewise our responsibility to ensure that every person is given the opportunity to do the same by participating in the Seder. Our celebration of freedom can only be complete if there is a seat at the table for everyone, and we can only be truly free if we carry this message of inclusion over to every other day of the year.